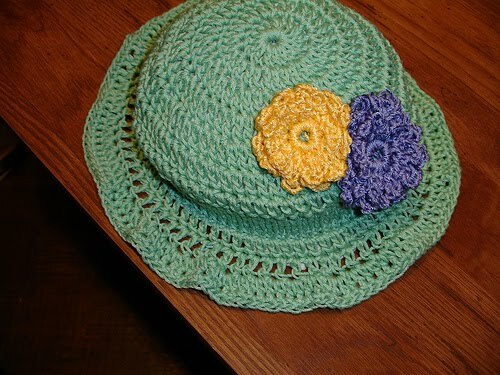 Basic Hat Pattern Version 90-D "Diamonds of Praise" © Charity Hat Pattern "Spring Green"
I should have scrunched the hat a little in the front! I used Impeccable from Michaels. Color: Soft Fern. Rounds 11-12. Repeat round 10. Round 14. Repeat round 10. Round 16. Repeat round 10. Rounds 18-20. Repeat round 10. Rounds 22- 24. Repeat round 21.